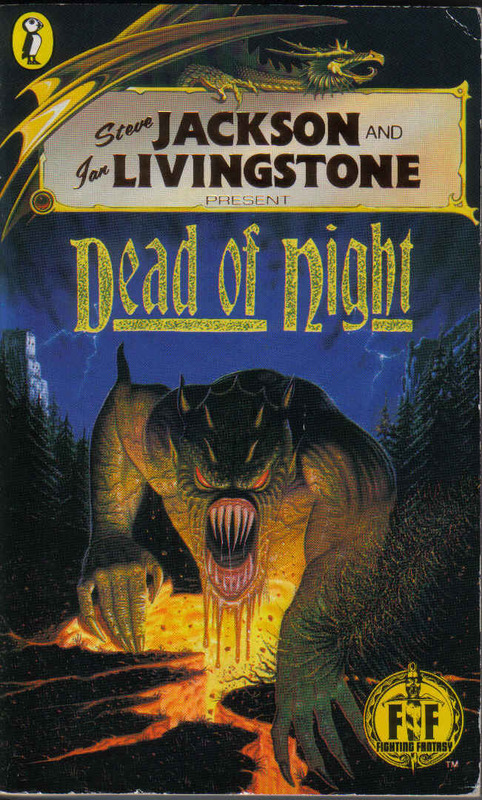 In the two PREVIOUS INSTALLMENTS of this very rudimentary primer I have discussed Fighting Fantasy books, the excitement, immersion and joy they inspired in a generation of readers and the creative doors they opened for many of us. 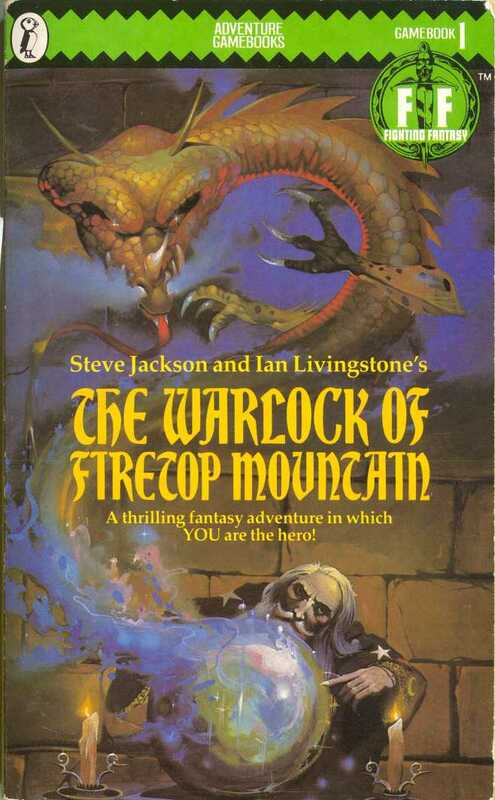 Less frequently discussed amongst the casual fan however, is the expansion beyond the core gamebooks that followed. 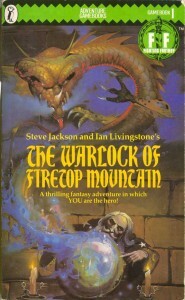 The fantasy world of Titan that was the shared location (though not always) for the majority of the books, was explored and expanded upon by a number of other artists, writers and developers like Marc Gascoigne, Pete Tamlyn and the other Steve Jackson alongside many many others. 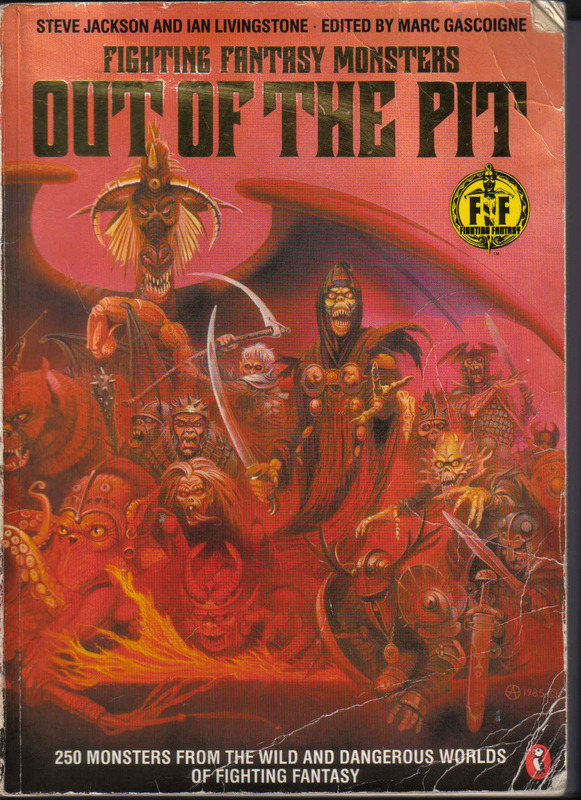 Out Of The Pit may sound like the title of an early 25 Ta Life song, but the FF bestiary appeared in 1985. Out Of The Pit was an extension of the popular regular article of the same name that appeared in Warlock magazine, and was a veritable necronomicon of the grotesque and ghoulish, brimming over with every monster, villain and shitehawk ever to stalk the pages of the FF universe! Just look at that beautiful Chris Achilleos cover. 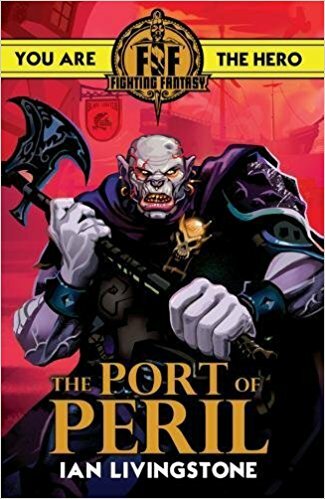 I remember being particularly captivated by the depiction of the Dark Elves, a fascination that only grew when Titan was published shortly after and the cruel nocturnal culture of that ruthless race was explored in more visceral detail. 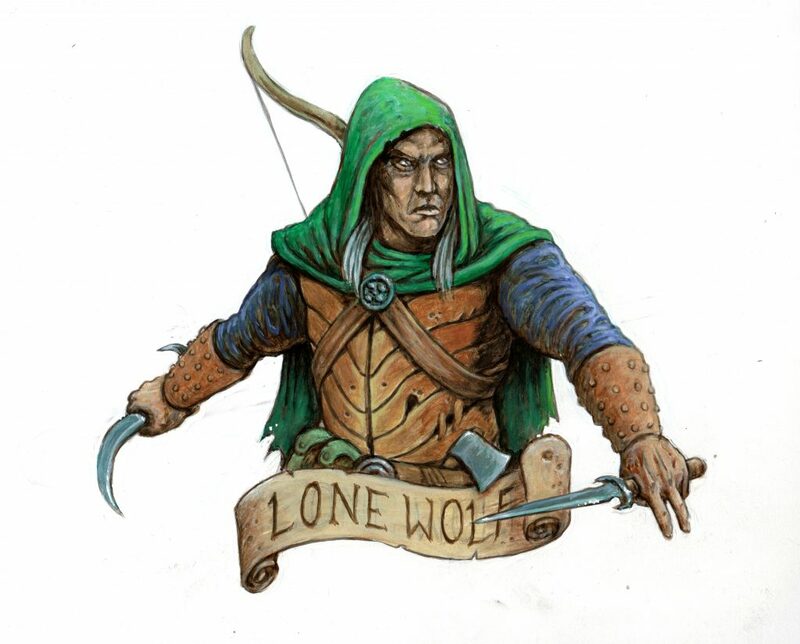 Needless to say my first Warhammer army was always going to be Dark Elves.